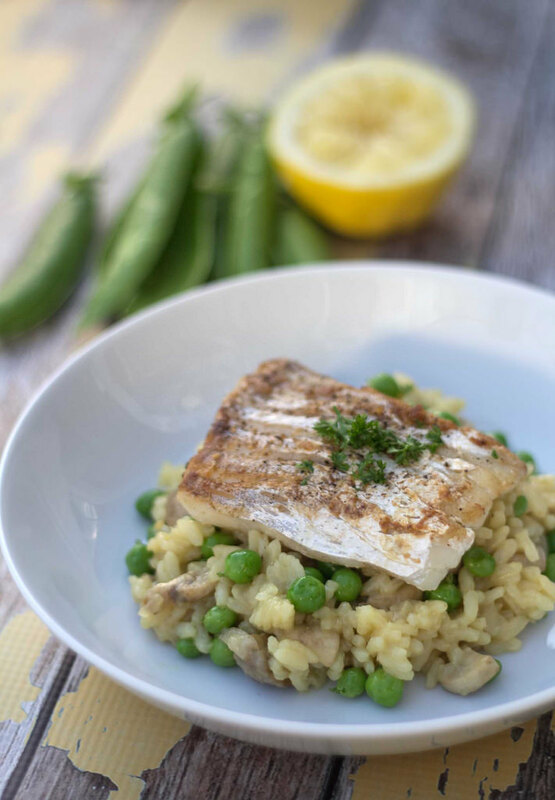 This recipe for risotto with fried cod and fresh peas is a super delicious dish which is relatively easy to make. 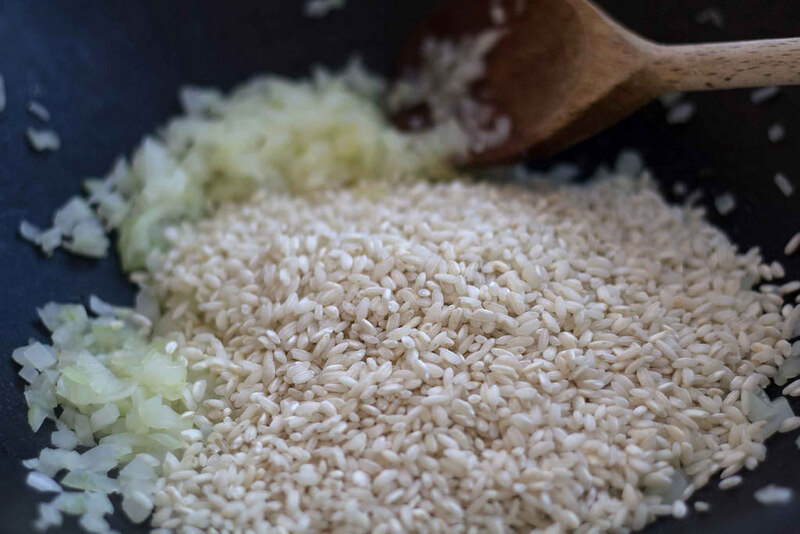 Risotto is an Italian rice dish, where the rice is cooked on a pan in broth. In this recipe the broth is based on chicken and some white wine, and is used to boil the rice into a nice and creamy consistency. Normally Risotto is just the creamy rice. 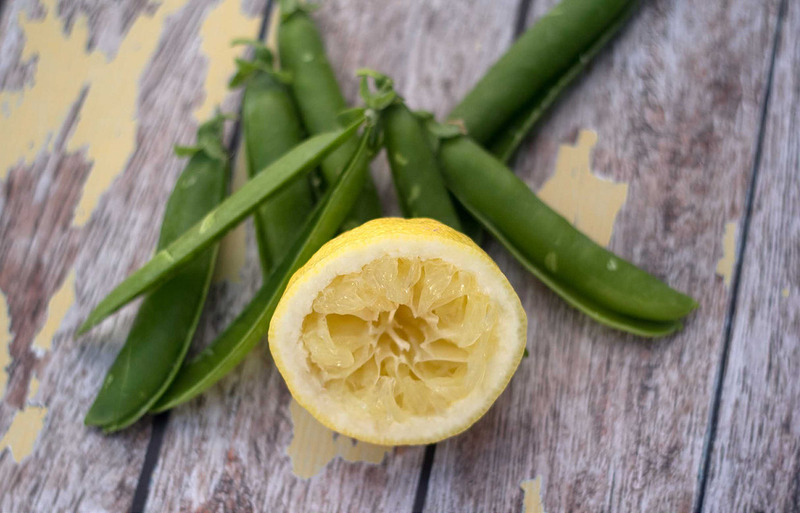 However, this recipe is twisted a bit, we have added some fresh peas and the juice from half a lemon – it adds a nice freshness to the dish. 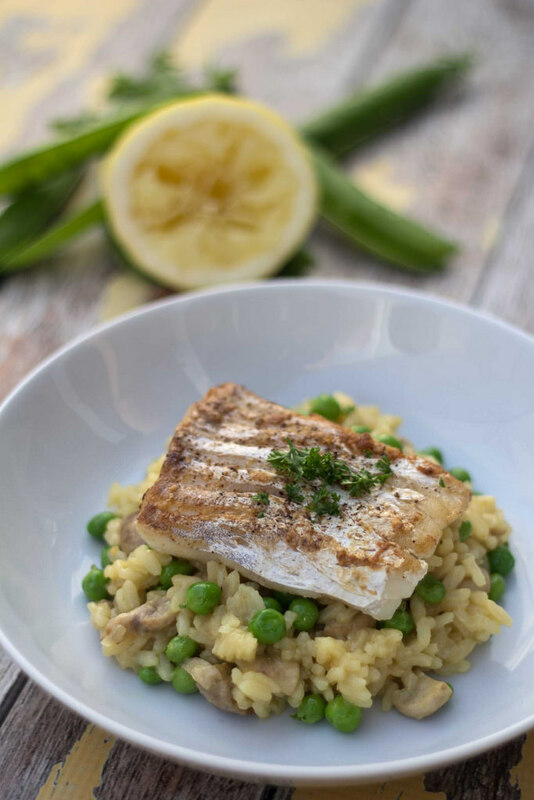 In addition, we thought that the dish should have a little more than just the Risotto rice, so we have added a nice piece of fried cod – it goes great with the delicious Risotto rice. 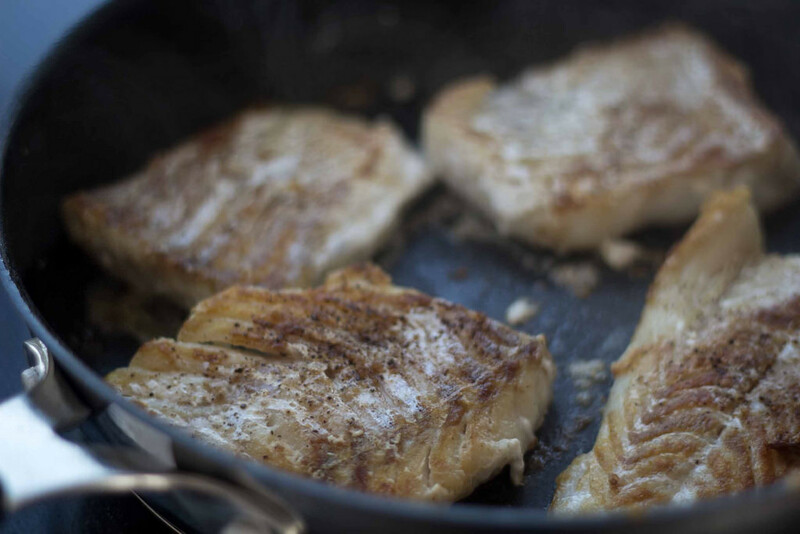 As we have mentioned in previous recipes on this blog, in Denmark the official recommendation is that you eat fish at least two times a week. 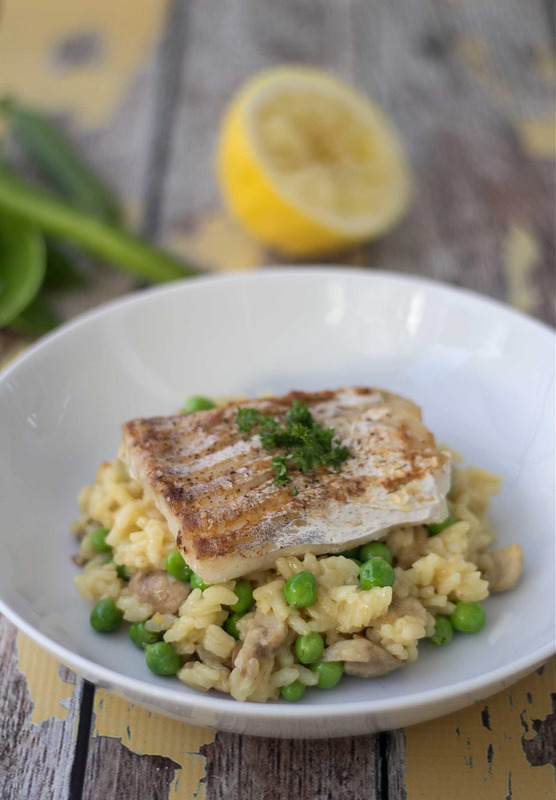 The Risotto with fried cod is a perfect dish to get some delicious fish. Step 1: Make some chicken water (broth) by pouring some chicken stock powder in 7 dl (3 cups) of boiling water. Step 2: Remove the peas from the shells. 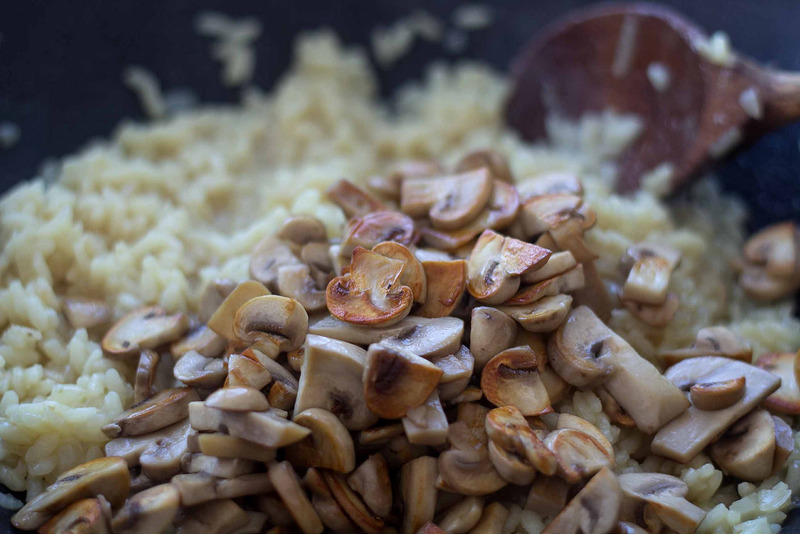 Step 3: Clean the champignon mushrooms and slice them. Fry them in hot oil on a frying pan. 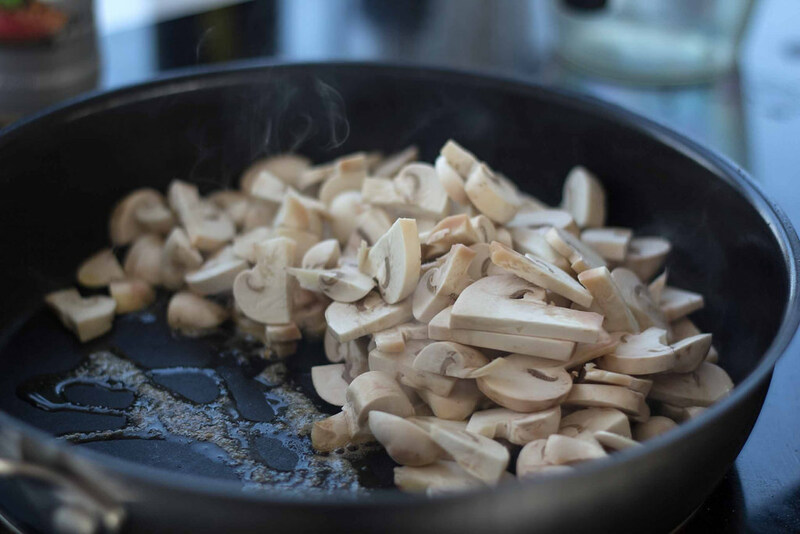 Keep frying until they have an light-brown color. Step 4: Finely chop the onions and fry them in hot oil. Add the risotto rice to the pan and fry at medium heat until they are done. They must be nice and soft. Step 5: Turn up the heat and add the white wine. Let the alcohol evaporate while stirring. Step 6: When the wine is absorbed by the rice turn down the heat and add 1/4 of the chicken water (broth). Stir until the chicken water is absorbed by the rice. Then you add another 1/4 of the water and stir till it is absorbed. Continue adding water until there is no more broth left. Step 7: Add the peas and the sliced champignon mushrooms and let it all heat up for a couple of minutes. Season with salt and pepper. Step 8: Turn off the heat and move the pan. 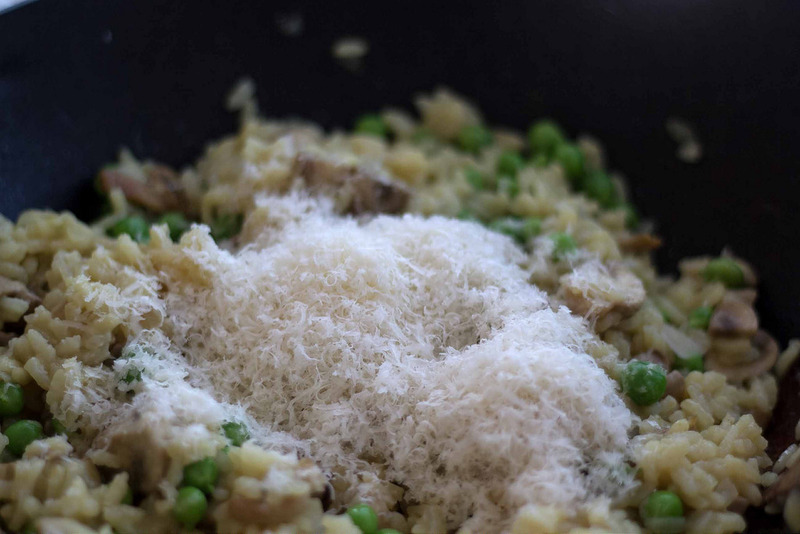 Add the grated Parmesan and mix well. 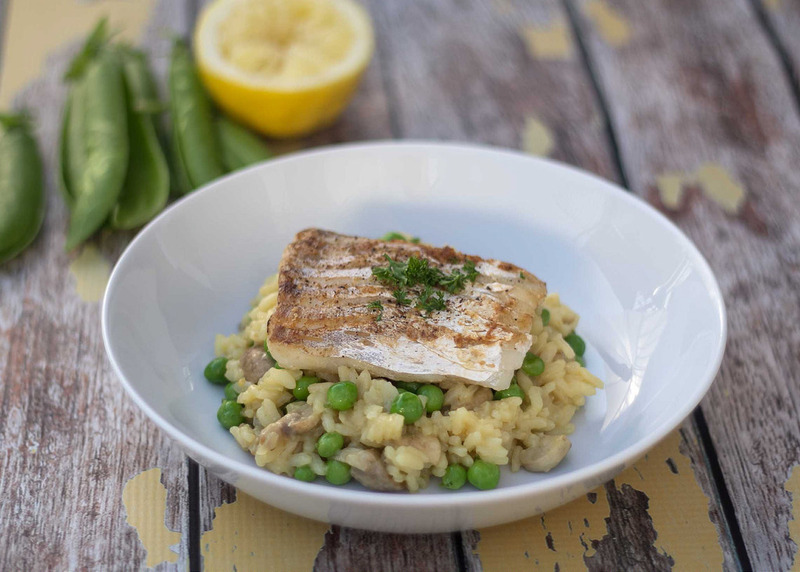 Leave the Risotto while you fry the cod. Step 9: Season the cod with some salt and fry it for a couple of minutes on each side. 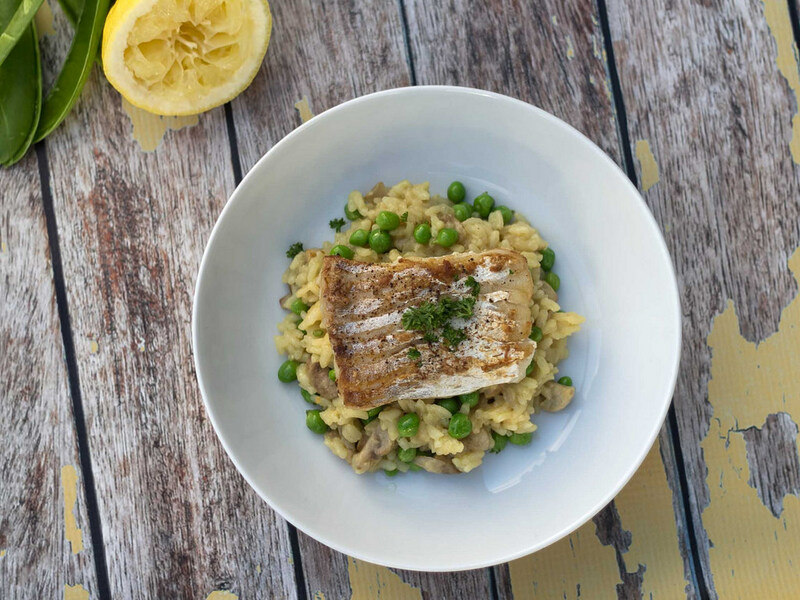 Serve the cod on top of risotto. Tip: If you can find some fresh peas that is the best, they have a very nice taste – but you can also just use some frozen peas. Going to give this a try sounds delicious. May have to add Garlic!!! I’m sure it would be great with garlic.